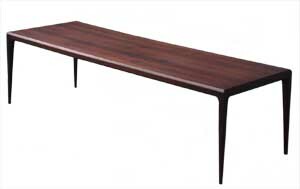 Galerie Dansk -> Tables -> Coffee Tables -> Rosewood table. Dimensions : Length 180cm. Width 60cm. Height 50cm.